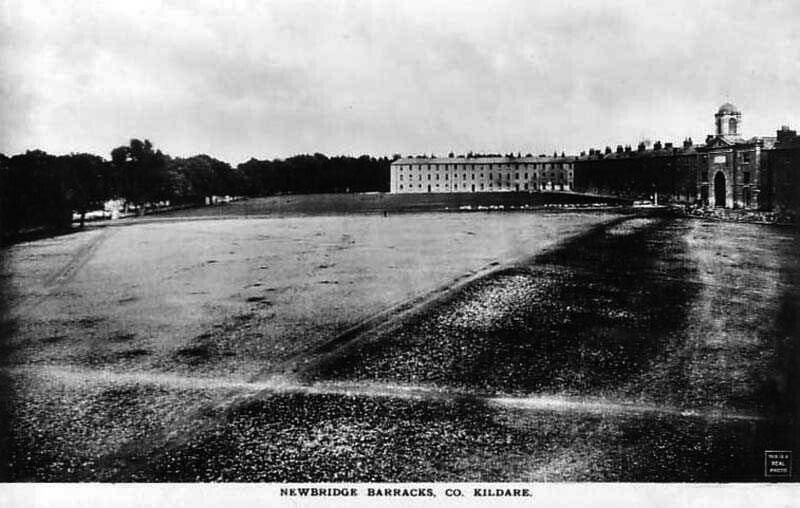 In Spring 1813, a tender from Hargrave, a Cork architect and building contractor, was accepted, at a cost of £96,000 to construct a new cavalry barracks at Newbridge. The furnishings and fittings would cost a further £4,000. The first recorded troops at the new barracks were the 3rd Kings Own Dragoons in 1819. 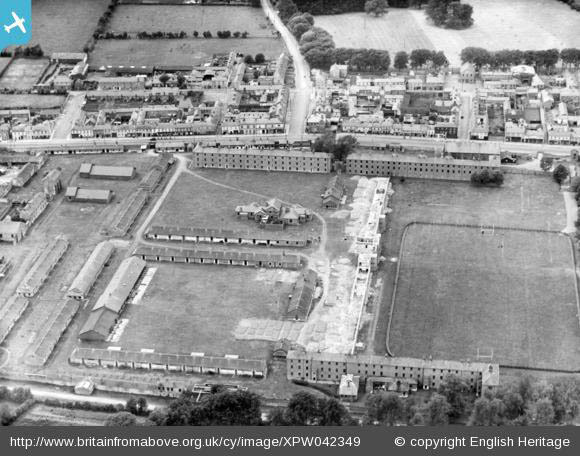 The barracks was occupied by the British Army until 1922, and then used as an internment camp by the national army during the Civil War. However it was not required as a Military Barracks by the new Irish Army, and was closed following the Civil War. Today, there remains very little of the Barracks, primarily an entrance archway and some lengths of wall and the former barracks Methodist Church of 1859. 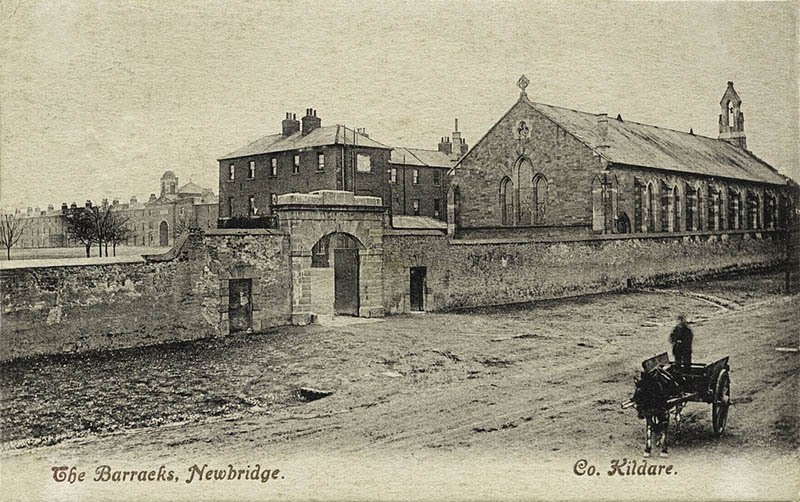 The church was de-consecrated following the closure of the Barracks in the 1920’s and was used for some years as a town hall for Newbridge.